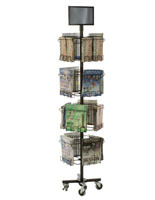 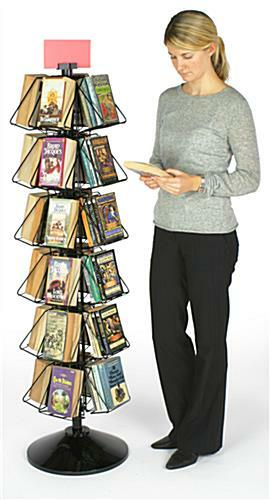 This wire book rack with 24 pockets is a great addition to your libraries, office or store. 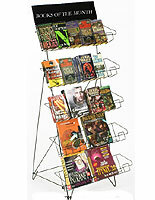 Use the metal holder to organize and display various reading material. 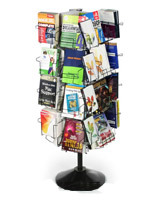 The black rack comes with 24 pockets for hard of soft cover books. 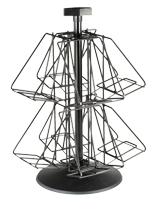 The easy spin design makes browsing fast and easy. 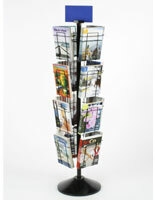 Each rack comes with a clip on the top to attach a sign or sales tag. 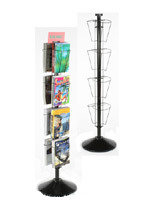 The pockets can also hold DVD's, video games and brochures! 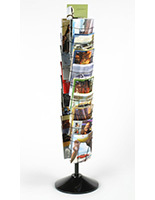 16.0" x 59.5" x 16.0"